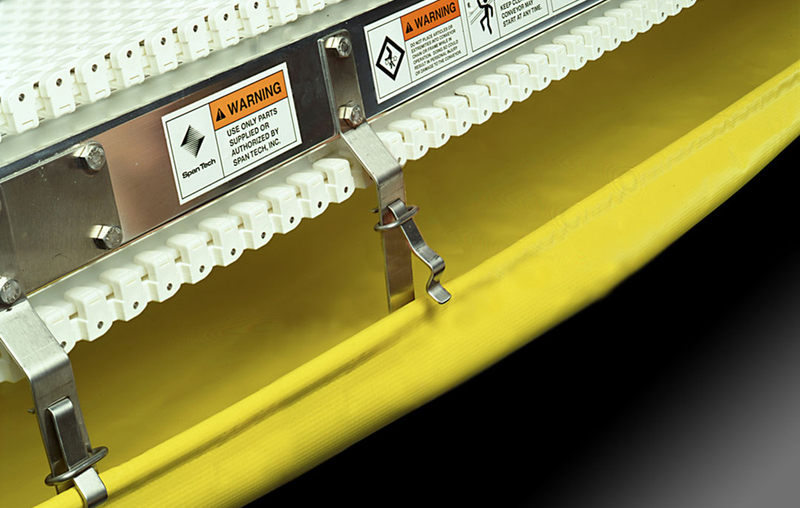 Add a vinyl under guard to extend the life and durability of your conveyor. Our vinyl under guarding is made of yellow vinyl with a plastic 3/8″ diameter rod. The rod fits into the brackets, eliminating the need for precise grommet holes. Two snaps at the idler end fasten to the idler bracket, and two snaps at the drive end fasten to the drive bracket. Cleaning out the under guarding is made simple through the quick release feature of the stainless brackets.